He’s one year old today. 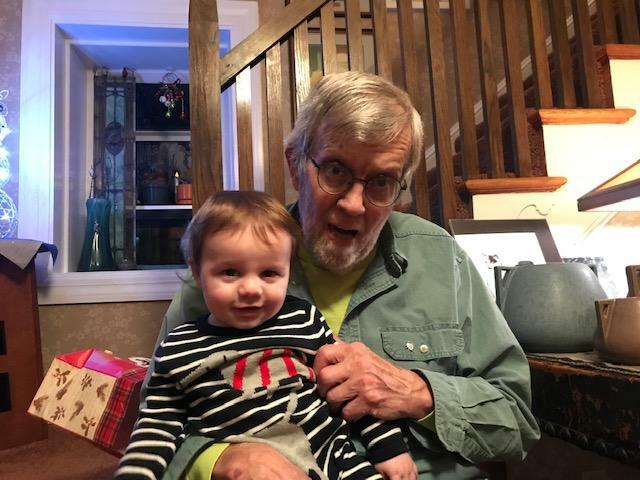 Here he is with his Grandpa, my brother. He is always smiling. I think he knows how lucky he is. He has brought so much joy to his parents and grandparents. I love to listen to my brother and sister(in law) talk about him. You can hear the happiness in their voices and see the joy on the faces. Keep doing what you do, little guy. I love what you’re doing to my family. And, I love you, too. This entry was posted on April 6, 2019 at 7:03 pm and is filed under Family and Friends. You can follow any responses to this entry through the RSS 2.0 feed. You can leave a response, or trackback from your own site.